Customers today can interact with organizations across multiple platforms. So how do you track the unique and complex experience of every customer? 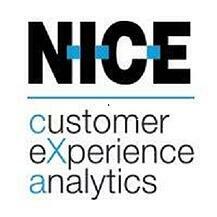 NICE Customer eXperience Analytics (NICE | cXa) created the digital and analytical transformation necessary for organizations to monopolize the global consumer-centric economy. Their commitment to end-to-end visualizations of the customer journey has greatly helped organizations recognize pain points and engage insights to transform customer experiences. This is how they won the Silver Stevie Award for Best Cloud Contact Center Technology and the Bronze Stevie Award for Sales Performance Management Suite in the 2017 Stevie Award for Sales & Customer Service. Attempting to elevate the standard of customer journeys more broadly, using both innovative technologies and practical thought leadership, is a real challenge. Robert Zoch, head of Customer Journey Solutions, believes their ‘Total Voice of the Customer and Customer Journey Solutions’ are the most capable tools now available for helping large businesses optimize their customer experiences. Zoch shares why winning a Stevie matters in their industry. It's become imperative for brands to have technologies keep up an expanding array of channels by which customers interact with brands. NICE knows customers want low-effort experiences that are enabled by capable self-service tools; but NICE also knows they need to ensure brands can live up to these expectations. Zoch says NICE is proud of how long they’ve been able to meet these demands. NICE believes their client relationships are "partnerships," and not only does this help ensure they achieve their goals, but also provides insights to continuously refine solutions to serve the needs of their marketplace. Zoch explains how placing a strong emphasis on customer success with a special team ensures their technologies’ best practices and strategies to accomplish their goals. Zoch continues to say they also have a strong commitment to their own people and they're proud to offer benefits to their employees that “many companies do not have.” Just some of the benefits they offer include: paid travel insurance, legal and pet insurance, generous paternity leave, benefits for children with disabilities and much more. Today we will highlight the Customer Service and Contact Center Individual awards categories. ...and more. See all Stevie winners here. The Stevie Awards are delighted to announce the seven distinguished professionals who will chair the final judging committees of the 2016 (10th annual) Stevie Awards for Sales & Customer Service competition. The Stevie Awardsfor Sales & Customer Service are the world's top sales awards, customer service awards, business development awards, contact center awards, and more. Gold, Silver and Bronze Stevie placements from among the Finalists will be determined in final judging, which is ongoing Results will be announced at the 10th annual awards dinner in Las Vegas on March 4. Tickets are on sale now. The seven committee chair selections are based on the categories being judged. Final judging chairs helped to form their committees, each of which will be comprised of 5-20 other executives. Here are this year's final judging committee chairs. 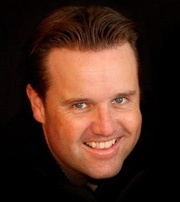 Rob Jeppsen is a senior executive at HireVue, a fast-growth technology company that is launching a game-changing tool for Sales Leaders worldwide, and aims to revolutionize how sales leaders coach their teams and develop the world's greatest sales teams. Prior to joining HireVue, Rob was the SVP of Sales at Zions Bank from 2005 to 2015, where he helped lead a team of about 300 commercial bankers in a full-service offering of products to help grow and manage businesses. Rob loves moving the Sales needle and has worked for, and consulted with, many organizations on sales, sales processes, leadership development, and the commercialization of new products and services, with emphasis on the technology and financial services sectors. Rob also enjoys building and driving growth of emerging organizations. He sees relationship development, business development, marketing, and corporate strategy as key ways to engineer value in organizations. Rob is invited to speak at over 100 events each year. His 6-course training series, The Business Performance Series, was recognized as "Sales Training Curriculum of the Year"​ in the 2012 Stevie Awards for Sales & Customer Service and has been successfully taught to over 900 businesses. Since 2007, Rob has received 15 Stevie Awards for Sales & Customer Service in categories such as Sales Team of the Year, Sales Coaching Program of the Year, Sales Process of the Year, Sales Director of the Year, and Senior Sales Executive of the Year. 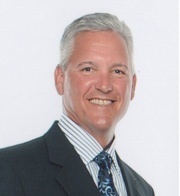 Mike Hart serves as the Vice President of Sales for the residential division of Lennox International. Mike joined Lennox in 1994 and is responsible for leading the residential sales, business development, national account, and customer service teams in the United States and Canada. Mike has over 30 years of experience in sales, sales leadership, brand management, distribution, retail, general management, M&A, operations, and coaching with multiple brands and channels in the heating and air conditioning manufacturing industry. Mike also volunteers as a board member of the Air Conditioning Heating Refrigeration Institute (AHRI) Education and Training Committee. He also contributes as a board member on the sales advisory board and the marketing advisory board at the University of Texas at Dallas. Mike has a Bachelor of Science degree in Business Management and Marketing from the University of Maryland, and a Master’s degree from the University of Texas at Dallas. 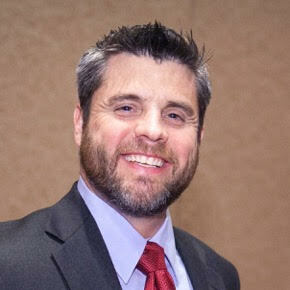 He spends his time mentoring and developing his team, profitably growing and exceeding sales, margin, and earnings objectives, implementing effective people processes, creating a culture of growth, accountability and teamwork, improving productivity and efficiency, providing effective sales leadership and coaching, as well as exceeding market share objectives. His 762 member sales team is responsible for $1.65B in revenue. 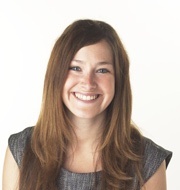 Jo Wimble-Groves is a Director of the successful Kent-based company Active Digital, an award-winning business mobile communications company. Jo has spent the last 20 years of her career working on customer experience and team strategy. Her commitment to delivering an exceptional level of service and building her successful team has led to a number of European and global awards. Since starting the company aged just 16, Jo credits her success to an innate passion, dedication, and zeal for business, along with an intuitive ability to identify good opportunities. Jo was voted “35 under 35” in Management Today magazine in 2010. Active Digital also named one of the “Top 6 Customer Service Business Leaders in Europe” at the European Contact Centre and Customer Service Awards in 2013. The company also won the Gold Stevie Award for Front-Line Customer Service Team of the Year - Technology Industries in the 2015 Stevie Awards for Sales & Customer Service. Established in 1996, Active Digital clients include Olympic teams and rugby clubs. Its core business is providing mobiles, tablets, fixed line, and apps to UK organizations of all sizes. Michael D. Anthony is General Manager of OnForce, a strategic business unit of Beeline. He is an innovative leader with more than 20 years of experience in the technical services industry. He is a passionate customer advocate who believes that a client-focused culture is the key to growing a successful business. Michael joined Beeline in 2005 and recently transitioned from his role as VP, Client Services with Beeline to lead the OnForce business unit. Michael is a veteran of the U.S. Navy and holds a Bachelor of Science degree in applied mathematical economics from the State University of New York at Oswego. As Vice President of Telemarketing, Jackie Coffey is responsible for the overall direct-to-consumer telesales capability serving numerous clients in the health care vertical for GuideWell Connect. Coffey leads the multi-channel sales contact center specializing in new acquisition, welcome programs and retention for Medicare, Under 65, small group, and ancillary products. Prior to GuideWell Connect, Jackie worked with Florida Blue for 22 years holding leadership positions in sales, marketing, and communications with Florida Blue. Before Florida Blue, Jackie held advertising and marketing positions with Shepherd Advertising Group, Mease Hospital, and other health care companies. Coffey holds a Bachelor of Arts in Communications from the University of Tampa, and she is a Certified Call Center Manager through Purdue University’s College of Call Center Excellence. Coffey is a Certified Health Insurance Executive (CHIE) and a 2013-14 graduate of the Executive Leadership Program sponsored by America’s Health Insurance Plans. In The 2014 International Business Awards, Jackie won the Bronze Stevie Award for Executive of the Year–Health Products & Services. After receiving his Bachelor of Science degree in engineering from Istanbul Technical University in 2000, Kadir worked at various companies on website development. 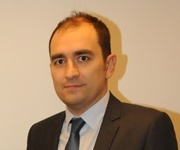 In 2003, he started at DenizBank A.Ş. as a software engineer. In 2005, Kadir joined Intertech A.Ş. as a software engineer, fulfilling his duties in Internet Banking and Web Projects at Alternative Distribution Channels Department. He was named ADC Department Head in July 2010. In this position he has led many successful projects in Internet/Mobile Banking and CRM fields. In August 2012, Kadir was promoted to the position of Executive Vice President in charge of ADC and Digital Banking Projects at Intertech A.Ş. He is responsible for Channel Management, Internet Banking, Mobile Banking, ATM and Kiosks, Call Center, User Experience, and Design Teams under the globally awarded inter-Vision product of Intertech A.Ş. He is currently running local and international banking projects. Kadir is married with two children. He enjoys spending his leisure time on world cinema and history of moviemaking. 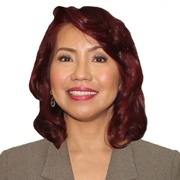 Rebecca V. Eclipse is the Executive Vice President and Chief Customer Experience Officer of Globe Telecom, Inc., and heads the Office of Strategy Management and Customer Experience. Responding to the speed of change and evolution of the telecommunications space, Rebecca draws wisdom and insight from 5 years in consulting and over 25 years of experience in the telco industry–from financial management, revenue assurance and fraud, internal controls, and business operations to strategy development and management, process and quality management,and, more importantly today, customer experience transformation. Finalists in the 10th Annual Stevie® Awards for Sales & Customer Service, an international competition recognizing excellence in disciplines that are crucial to business success, were announced today. A diverse group of organizations and individuals around the world are among those recognized in the customer service awards, contact center awards, business development awards, and sales awards categories. Organizations with five or more Finalist nominations include Carbonite, Inc., Cisco Systems, Delta Air Lines, DHL Express, Digital Risk, eMoney Advisor, LLC, GuideWell Connect, HomeServe USA, Human Resources Development Fund, iHeartMedia, Inc., John Hancock Financial Services, Lennox Industries, Inc., LiveWatch Security LLC, Marriott Vacations Worldwide, MTM Inc., Nuance Communications, Odeabank, Revana, Sales Partnerships, Inc., SoftPro, SurePayroll, Inc., Turkiye Is Bankasi A.S., Visualize, VIZIO, Inc., Wells Fargo, WePay Inc., and Wyndham Vacation Ownership. For a full list of Finalists by category, visit www.StevieAwards.com/Sales. Gold, Silver and Bronze Stevie Award winners will be announced during a gala banquet on Friday, March 4 at the Paris Las Vegas Hotel in Las Vegas, Nevada. Tickets are now on sale. More than 60 members of seven specialized judging committees will determine the Gold, Silver and Bronze Stevie Award placements from among the Finalists during final judging, to begin January 25. Beginning today through February 12, the general public may vote for their favorite providers of customer service in the People’s Choice Stevie® Awards for Favorite Customer Service. Voting is open at http://peopleschoice.stevieawards.com. Winners of the People’s Choice Stevie Awards in multiple industries will be determined in mid-February and honored at the awards gala in Las Vegas on March 4. Sponsors of the 10th annual Stevie Awards for Sales & Customer Service include Sales Partnerships and ValueSelling Associates. Strategy to Revenue, a global sales performance company, won a Gold Stevie® Award in the Sales Awards categories of the 2014 Stevie Awards for Sales & Customer Service, the world's top sales and customer service awards program. The 2015 Stevie Awards for Sales & Customer Service are currently accepting entries. Strategy to Revenue’s Stevie Award winning nomination outlines how they worked with DHL Global Forwarding to achieve sales excellence. We talked with Matt Downes, Executive Vice President of Global Sales & Marketing, about what his company is doing to help its clients, and what he brought back from his experience at the Sales & Customer Service Awards in Las Vegas last February. The founders of STR had many years of experience in leading premier sales training companies that provided sales effectiveness solutions to global organizations in transformation. “Our collective experiences have directly informed our point of view and our approach,” Matt told us. - lack of sales organizational/cultural alignment. “Making a shift in sales behavior and productivity in the sales organization continues to be one of the hottest topics for every company out there.” suggested Matt. “What has become absolutely evident over recent years is that without sales leadership and first-line sales management alignment and com-mitment to any sales training initiative, the chances of a successful impact on sales performance are slim. “Firstly, investment into the sales management to ensure a consistent cadence and approach to pipeline management, and performance coaching aligned to the business metrics driving revenue and margin. Sales Managers need to be able to anticipate potential issues in the pipeline before it’s too late, and then translate that into positive action through coaching. 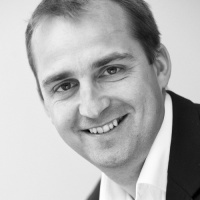 Matt is one of the founders of STR and leads Global Sales & Marketing for the company. Prior to STR, Matt spent eight years working for other global sales training and performance companies engaging with Fortune 500 companies. During that time, Matt lived in the US and led a sales transformation practice before returning to the UK to launch STR in 2008. Outside of work, Matt is passionate about sport and is kept busy enjoying life with his wife Rosie and their three children Joe, Olly, and Bella. Matt holds a BSc in Business Information Technology Manage-ment. The Stevie® Awards, organizer of the world’s premier business awards programs, has issued a call for entries for the 2015 (9th annual) Stevie Awards for Sales & Customer Service. All customer service, contact center, business development, and sales departments, teams and professionals worldwide are eligible to be nominated, in addition to new products and services used by those professionals. The 2015 awards will recognize achievements since July 1, 2013. The entry deadline is November 19, but late entries will be accepted through January 13 with payment of a late fee. 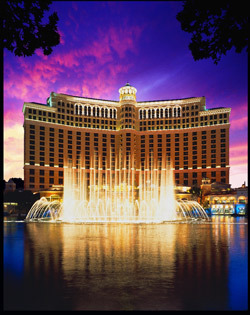 Winners of the ninth annual competition will be announced at a gala awards banquet on February 27 at the Bellagio in Las Vegas. The 2015 program offers new categories for business development professionals including Business Development Executive of the Year, Business Development Professional of the Year (for non-executive professionals), and Business Development Achievement of the Year. 2015 will see the return of a popular feature of the Stevie Awards for Sales & Customer Service. All Finalists in the Customer Service Department of the Year categories will be included in the People’s Choice Stevie Awards for Favorite Customer Service voting. Winners of the 2014 edition of the Stevie Awards for Sales & Customer Service include Cars.com, Comcast, CubeSmart, Delta Air Lines, Etiya, eZCom Software, FedEx, HubSpot, Kohl’s Department Stores – Credit Division, OfficeDepot, SAVO, ShopKeep POS, Vestmark, and VIZIO, Inc., among others. The 2015 competition will be judged by more than 200 professionals around the world. The 2015 entry kit and a complete history of the awards program are available at http://www.StevieAwards.com/Sales. Sponsors of the 2015 Stevie Awards for Sales & Customer Service include ValueSelling Associates. Finalists in the 8th Annual Stevie Awards for Sales & Customer Service, the world’s top honors for customer service, contact center, business development, and sales professionals, were announced today. A diverse group of organizations and individuals around the world are among those recognized in the customer service awards, contact center awards, and sales awards categories. Organizations with Finalists in multiple categories include AllClear ID, Bluegreen Vacations, Cars.com, Delta Air Lines, DHL Express, EMKAY, FedEx TechConnect, Canada's FreshBooks, John Hancock, Lennox Industries, LiveAnswer, Marriott Vacation Club, Marsh U.S. Consumer, Parlant Technology, PetRays Veterinary Telemedicine Consultants, Property Insight, Richardson, Salesforce, SoftPro, SurePayroll, Inc., Turkey's Turk Economy Bank, ValueSelling Associates, VIZIO, Inc., Turkey's Vodafone, and Wyndham Vacation Ownership. For a full list of Finalists by category, visit www.StevieAwards.com/Sales. Gold, Silver and Bronze Stevie Award winners will be announced during a gala banquet on Friday, February 21 at the Bellagio in Las Vegas, Nevada. Tickets are now on sale. More than 1,500 nominations from organizations of all sizes and in virtually every industry were evaluated in this year’s competition, an increase of 36% over 2013. Finalists were determined by the average scores of 129 professionals worldwide, acting as preliminary judges. 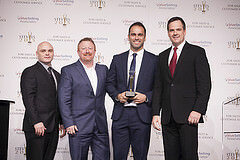 Entries were considered in 43 categories for customer service and contact center achievements, including Contact Center of the Year, Award for Innovation in Customer Service, and Customer Service Department of the Year; 43 categories for sales and business development achievements, ranging from Senior Sales Executive of the Year to Sales Training or Coaching Program of the Year to Sales Department of the Year; and categories to recognize new products and services and solution providers. More than 100 members of seven specialized judging committees will determine the Gold, Silver and Bronze Stevie Award placements from among the Finalists during final judging, to take place January 27 - February 5. Beginning today, the general public will be able to cast their votes for their favorite providers of good customer service in the People’s Choice Stevie® Awards for Favorite Customer Service Department. Voting is open at http://www.stevieawards.com/Service.peopleschoice. Winners of the People’s Choice Stevie Awards for Favorite Customer Service in multiple industries will be determined in mid-February and honored at the awards gala in Las Vegas on February 21. Stevie Awards are conferred in five programs: the Asia-Pacific Stevie Awards, The American Business Awards, The International Business Awards, the Stevie Awards for Women in Business, and the Stevie Awards for Sales & Customer Service. A sixth program, the German Stevie Awards, will debut later this year. Honoring organizations of all types and sizes and the people behind them, the Stevies recognize outstanding performances in the workplace worldwide. Learn more about The Stevie Awards at www.StevieAwards.com. Sponsors and supporters of the eighth annual Stevie Awards for Sales & Customer Service include the BusinessTalkRadio Network, Competence Call Center, and ValueSelling Associates. Tuesday, January 14 is the final entry deadline for the 2014 (8th annual) Stevie Awards for Sales & Customer Service. These are the world's top honors for contact center, customer service, business development, and sales professionals. All organizations and individuals worldwide are eligible to submit entries. Review the entry kit now - you'll find it online, here. The entry kit contains all of the information you'll need to be able to prepare and submit entries to the 2014 awards. There's a lot that's new and different for the awards this year, including our new Grand Stevie Award trophy. Don't hesitate to contact us with your questions about how to participate in the 2014 Stevie Awards for Sales & Customer Service. P.S. Need a few extra days to enter? Contact us. Wednesday, October 9 is the early-bird entry deadline, with discounted entry fees, for the 2014 (8th annual) Stevie Awards for Sales & Customer Service. These are the world's top honors for contact center, customer service, business development, and sales professionals. All organizations and individuals worldwide are eligible to submit entries. Review the entry kit now - you'll find it online. The entry kit contains all of the information you'll need to be able to prepare and submit entries to the 2014 awards. If you miss the early-bird deadline, the final entry deadline is November 13, and late entries will be accepted through January 14 with payment of a late fee. There's a lot that's new and different for the awards this year, including our new Grand Stevie Award trophy . 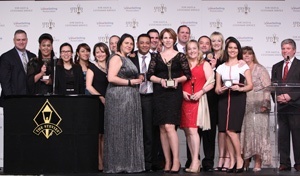 If you'd like to apply to participate in the 2014 Stevie Awards For Sales & Customer Service judging, you can apply online. The Stevie Awards for Sales & Customer Service are the world's top customer service awards, sales awards, and contact center awards. There are even new product awards categories and categories to recognize the achievements of solution providers. This quick informational video plus an entry kit are all any company needs to know to be able to submit entries. The Stevie Awards are the world's premier business awards. There are dozens of categories to recognize the achievement of individuals, entire departments and teams, as well as new products used by customer service and sales professionals, and the achievements of solution providers to these professionals. The competition is judged each year by several hundred professionals around the world. The sponsors are providers of products and services to sales, contact center, and customer service professionals. The early-bird deadline is October 9. Get your entry kit, and enter today.